A Fantastic Opportunity to Purchase These Unique High Quality Prints For Re-Sale at Sporting Meetings and Functions. Price includes 100 x prints with shipping additional. 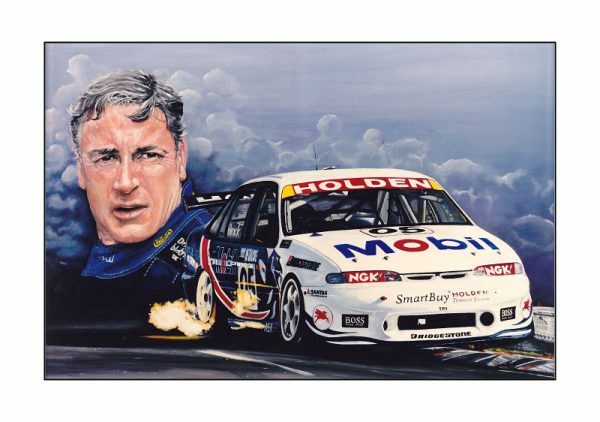 Artwork Praised by Robert Brock Managing Director – Peter G Brock Pty Ltd. Quote \”I’m more than happy for you to continue to sell the products in such a way as they aren’t directly infringing on registered trademarks, in this case, using Dad’s name as a key logo behind the image that your son painted, and painted excellently might I add.\” Unquote. (As per email received) Sets of 100 prints to one location shipped to Australian main cities at $49.95 extra. Additional prints available by negotiation. Print image size is 800mm x 500mm ready to mat and frame. Payments by PayPal prior to delivery. Please email [email protected] for information regarding delivery and payment. Any questions please do not hesitate to contact us. Register or login to contact a seller.